Life throws us a curveball every now and again and Brooke Haycock was hit with one five months ago when she was diagnosed with a rare condition that left her practically paralysed. She shares her incredible story of strength and resilience with Profile. Imagine waking up one day and not being able to feel your hands or feet, this was the terrifying reality for local mother-of-two Brooke Haycock when she was struck down with a rare autoimmune condition known as Guillain-Barre syndrome. “It was the day before Mother’s Day, my husband and I were getting ready for a date night and I remember my hands and feet just didn’t feel right, I had no strength in them, explains Brooke,” vividly recalling the terrifying memory. 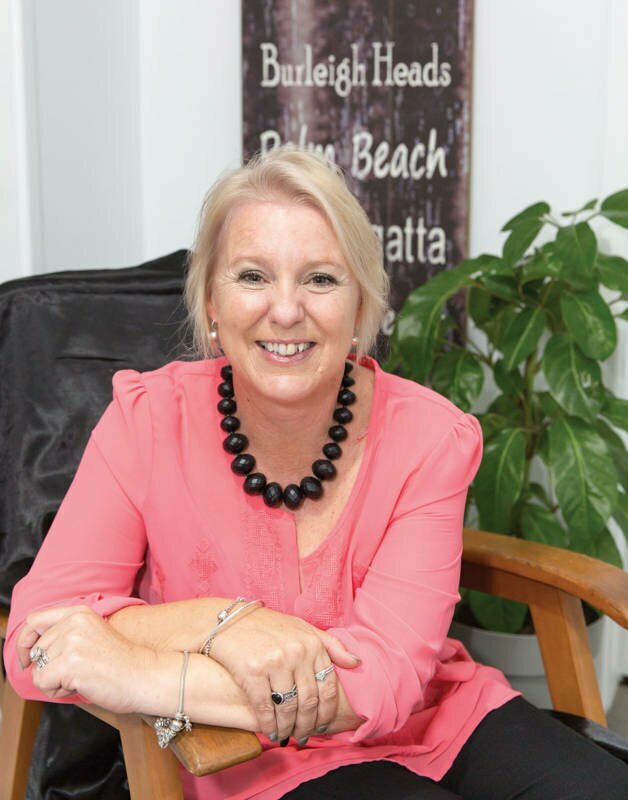 When Brooke and her husband Roy first presented at the Caloundra Hospital emergency department that evening, doctors initially thought Brooke may be suffering from a stroke or even Multiple Sclerosis, and she was sent to Nambour General Hospital for further investigation. Guillain-Barre is an autoimmune condition where the person’s nerves are attacked by the body’s own immune defence system. As a result of the attack, signals are delayed or changed, causing paralysis and muscular weakness as well as strange sensations. This rare illness strikes between two and eight people in every 100,000, regardless of gender or age, although it is more common in the 30 to 50 years age group. The condition continued to worsen as the days progressed and Brooke lost almost all the power in her legs. Blood tests and a lumbar puncture failed to reveal the cause of her symptoms and it was just a case of wait and see. “My worst fear was thinking I was not going to walk again. My husband had to go out and buy a walker,” says Brooke. Eventually Brooke was diagnosed with Guillain-Barre syndrome, a disorder of the immune system, which causes rapid-onset of muscle weakness. The disorder often involves a lengthy recovery and in rare cases, can be fatal. Brooke’s diagnosis was made using a Nerve Conduction EMG monitor at Nambour hospital, which she and her family are forever thankful for. “The nerve conductor was the test that confirmed the doctor’s suspicions. It sends a signal to the brain to see how long it takes the brain to react. They put it on my legs and they just wouldn’t move,” says Brooke. Although there is no known cure for the condition, after four days of plasma treatment, Brooke started to slowly recover. The syndrome appears to be triggered by acute viral or bacterial illnesses, such as respiratory or gastrointestinal infections, occurring one to three weeks earlier. However, other events such as pregnancy, dengue fever, surgical procedures, insect bites and Bell’s palsy have also been shown to cause GBS. There is no cure, but treatment usually consists of plasmapheresis, where blood is taken from the person. The immune cells are removed, and the remaining red blood cells are returned to the body. These days Brooke is back at work and well on her way to leading a normal life again. “I’m still not as strong as I used to be, my legs are still a bit sore and I find it difficult walking up the stairs but I am getting better every day,” she says. As is often the case with life-threatening conditions, Brooke says she and her family have come through the other side of the terrifying ordeal with an even greater appreciation for life and how fragile it can be. The Nerve Conduction EMG Monitor, is the only one at Nambour General Hospital and is in high demand across the health service. Nambour General Hospital neurologist Dr Tomin Mooney says through Wishlist’s Tax Appeal, he was eager to get funding for a second EMG monitor worth $52,000 to enhance the neurology department and ease waiting times for patients. Wishlist is currently raising funds to purchase the monitor which assists with the diagnosis of conditions including multiple sclerosis, which can disrupt the ability of the nervous system, Guillain-Barre syndrome, and certain rare forms of epilepsy. If you would like to help go to www.wishlist.org.au and select the donate tab.